Mission: Impossible - Fallout is going to blow audiences out of their chairs. The sixth installment of the franchise is an action juggernaut. 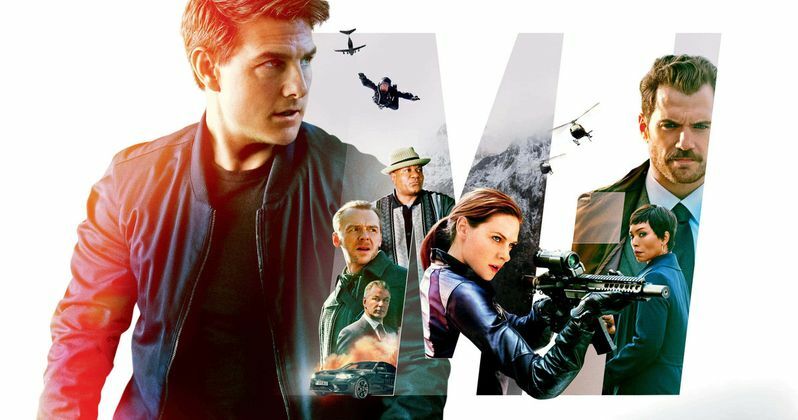 Christopher Mcquarrie (The Way of the Gun, Jack Reacher), who also wrote and directed Mission Impossible: Rogue Nation, returns with rocket fuel in his veins. He raises his own bar with a beautifully shot, absolutely epic adventure. McQuarrie threads the films together, bringing back bygone characters to a new narrative. His story adds feeling to the bullets and beatdowns. Tom Cruise chose the right man to helm the Mission Impossible ship. Two years after Ethan Hunt (Tom Cruise) and his IMF team captured Solomon Lane (Sean Harris), a splinter faction of his Syndicate emerges. The Apostles are anarchists bent on nuclear terrorism. Led by a shadowy figure, they have seemingly infiltrated the US intelligence apparatus. When stolen, weapons grade plutonium hits the black market; the IMF must get to it before the Apostles. But they are hardly the only players in this deadly game. The CIA demands to take part in the operation. Hunt is forced to bring along August Walker (Henry Cavill). Where Ethan Hunt is a scalpel, August Walker is a sledgehammer. The men must overcome their differences before the Apostles catastrophic plan comes to fruition. Mission Impossible: Fallout wastes no time. The first ten minutes has more exposition than most movies. McQuarrie establishes the characters, their objectives, and takes off without ever looking back. The overall storyline of the plutonium has multiple subplots. There's mystery, espionage, and numerous characters engaging in subterfuge. McQuarrie places trust in Hunt's unshakeable allies. Luther (Ving Rhames) and Benji (Simon Pegg) have a lot of screen time. At this point, the IMF regulars are known commodities. McQuarrie uses the team dynamic wisely. They provide the emotional backbone when characters we haven't seen for a while return to the story. The action scenes are stupefyingly awesome. Mission Impossible: Fallout is a near overdose for the action junkie. McQuarrie takes a cinematic eye to his approach. The dialogue scenes have a grainy texture indicative of the murky villains. The action however is crisp, vibrant, brilliantly filmed and staged. Cinematographer Rob Hardy (Ex Machina, Annihilation) does an incredible job, truly Oscar worthy. The helicopter climax, and I write this without hyperbole, is one of the greatest action scenes ever filmed. It was shot for IMAX and looks freaking spectacular in that format. Jaw dropping is an understatement. The mystery surrounding the leader of the Apostles is overblown. The characters jump through a whole lot of hoops and double crosses to find the villain. The baddie is fairly obvious, but that's not a deal killer for the plot. The antagonist is not the only surprise. McQuarrie does a great job sprinkling reveals throughout. It makes the sixth go round more lucid and meaningful than the previous missions. I've pretty much liked the entire franchise, but Rogue Nation and Fallout are bookends to a fantastic story. The two films together elevate Mission Impossible and truly sets the stage for quality sequels. From Paramount Pictures, Mission Impossible: Fallout is a must see. Tom Cruise and the IMF are better than ever. Christopher McQuarrie has delivered action greatness. I cannot wait for a second viewing. Shell out for the IMAX if you can. The helicopter scene is worth the price of admission by itself.